This model, introduced in 1977, has the rainbow stripe that everyone recognizes and does not have a built in flash. You will need to buy a flash bar or flash unit to be able to shoot indoors with this camera. This camera is in great condition and has minor wear. I have tested and cleaned this camera and it works well. Please see the test photo I made of a rainbow flag. When buying Polaroid film, be sure to buy the Polaroid SX-70 film and see my FAQ below. 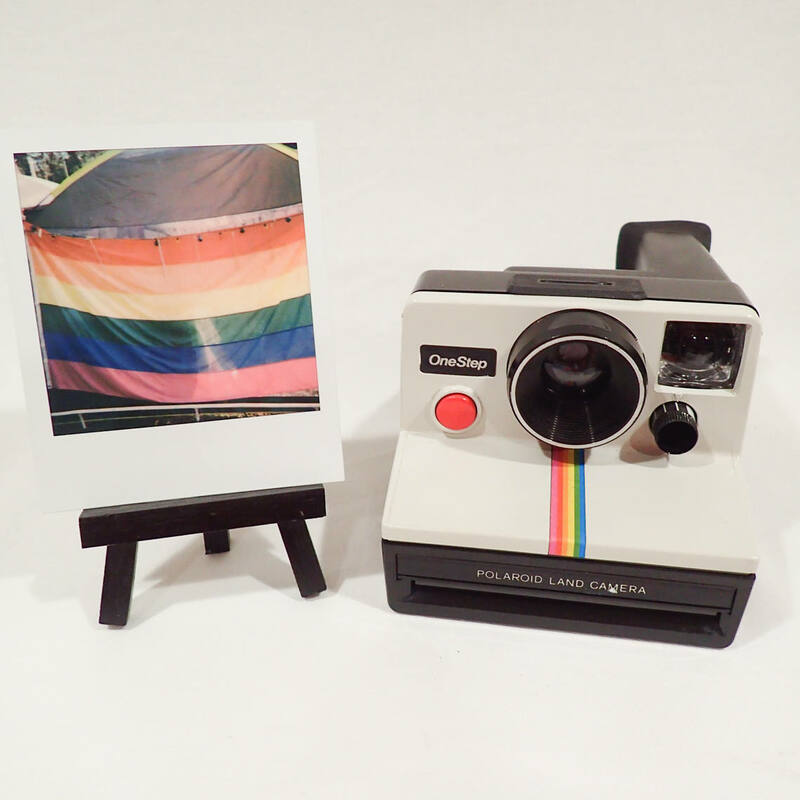 You can add a pack of fresh Polaroid Originals film to this order for $18. I have replaced the film shield (frog tongue) on this camera, so I have added $15 to the price. Again, this camera has been tested; photos eject correctly and pictures are good.